This organic oil with Ecocert is obtained by cold pressing the flesh of fresh coconuts (in Asia called the “tree of life”). Keeping body’s balance on an everyday basis is very important. 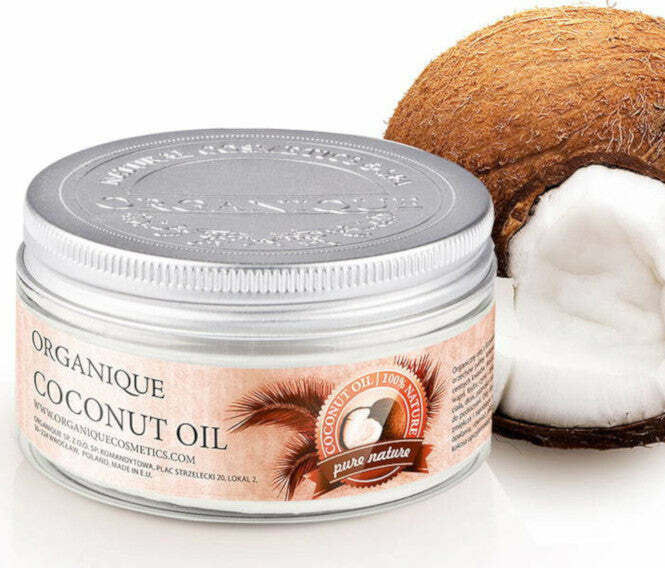 Natural Shop offers you a natural coconut oil which will nourish your body after a bath or a shower. It can become a part of your daily ritual which will provide you with proper body nourishment for the whole day. Coconut oil skin care is safe for sensitive skin and can be applied also on hair or nails. It consists of multiple important ingredients and its scent makes the application even more pleasurable. It is a 100% organic cosmetic. This natural coconut oil is a healthy nourishment for your body thanks to its multiple elements. It contains, among others, calcium and iron and is also a source of vitamins C and E. The former vitamin has regeneration qualities and prevents from the development of cold, while the latter is beneficial for hair and nourishes damaged skin. Should you need more information on the coconut oil skin care, we will be happy to assist you. It contains a mixture of valuable fatty acids, vitamins of B group, vitamins C and E as well as foil acid, calcium, phosphorus, zinc and iron. Due to its rich composition, it is an invaluable eco cosmetic for face, body, hands, nails and hair, also recommended for sensitive skin, prone to irritation. The oil moisturises, regenerates, soothes and prevents chapping of the skin. It softens and slows down the ageing process. It is recommended for daily use, after bathing, sunbathing, also as a base for nutritional treatments. Its velvety texture and natural coconut scent make it even more pleasant to use the cosmetic. After a bath massage a little bit of the oil on the still wet skin. Rub onto dry hair (you can use a compress), after an hour wash off with a delicate shampoo. It can be also used as a serum for damaged hair tips. Rub onto the cuticle and nail plate or soak them in a warm oil with addition of lemon juice.